When California voters approved Proposition 64, it included a provision that give wide discretion to individual communities regarding how much of a berth they wanted to give cannabis companies and customers. In San Bernardino County, Fontana marijuana lawyers soon understood that in this community, authorities were eager to take a hard line stance – particularly on home grow operations. Now, Fontana’s de facto ban on home cannabis grow operations has been nixed in a San Bernardino Superior Court ruling, finding the city’s rule’s to be “excessive,” paving the way for individuals to grow and possess amounts of the drug that are more in line with state provisions, which are far more lax. This is likely to prompt other municipalities to look carefully at their own policies if they are tighter than provisions of state law. The city ordinance in Fontana was strict, effectively amounting to a de facto ban on individuals growing even small amounts of the drug in their homes for personal use. 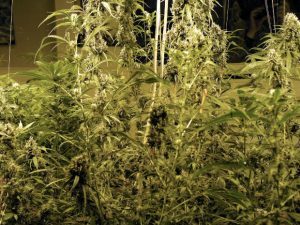 The ordinance mandated that all residents who wanted to grow marijuana in the city had to first register with the city. It also required they undergo a criminal background check (blocking any who owed fees to the city), open their home to city officials to undergo an inspection and then on top of that pay a substantial fee to do so. Furthermore, it excluded a number of individuals, such as those with prior convictions, from obtaining a permit. Furthermore, the ordinance made it illegal to grow six plants at home absent a permit – effectively making illegal the very thing that Prop. 64 had allowed to be legal. Plaintiff in this case was a man who had been a medical marijuana patient for years, and all he wanted was to grow marijuana for his own use inside his home. Fontana’s marijuana ordinance, he argued, was far too restrictive to be “reasonable” as is required under Prop. 64, the state law. Trial court judge agreed, echoing the sentiments of the Drug Policy Alliance, which was that the city’s ordinance was essentially designed to deter residents from engaging in conduct that is legal per state law. Furthermore, it effectively prejudiced less wealthy occupants of the city, who would have a difficult time paying the hefty costs necessary to comply with the city’s inspection rules. It’s a legal victory that could well impact cannabis consumers across California, where many communities have sought to impose restrictions that are altogether unfair and effectively criminalized even those who sought to grow small amounts of the drug for their own personal use. Fontana marijuana lawyers know this was a closely-watched case because it was one of the first legal tests regarding the boundaries of how far cities could go when regulating resident’s rights to use and grow recreational marijuana since the state first passed the law in 2016. Other communities with restrictive marijuana policies include San Bernardino, Colton, Rancho Palos Verdes, La Canada Flintridge and others. Prop. 64 is quite clear in its directive allowing those over 21 to grow up to six plants per household, so long as those plants are secure and not visible from the street. Cities cannot restrict that right – something now this court ruling further affirms.